As a general investing overview, it seems fair to observe that one of the largest challenges that looms large in the mindset of many investors is what you could classify as recency bias. The basic premise is to identify assets which have performed well and then betting your chips on the trick being repeated again in the future. Anyone who has been watching recent events unfold in global financial markets will have had a rude awakening and the concept of what is normal or even relying on history repeating itself has been well and truly challenged with scenarios such as bonds outperforming stocks over a 30 year period, which is something that has happened for about 150 years previously. The relevance of painting this investment picture is that it seems a good time to reset your mindset and not allow past investment prejudices to cloud your judgment of what could be a potential opportunity going forward, regardless of what has gone on in the past. Buying into the unconventional could be where the profits are going to come from and if you can find a market where valuations are relatively undemanding and offer the potential, it is worth taking a look. Vietnam is a market which is largely overlooked, probably because many investors have preconceived ideas based on the country’s history, so are you prepared to be that unconventional investor who bets that the country could become an Asian economy which delivers solid or even spectacular returns? You can argue generally that Asian economies still look attractive when compared to those of the West, even allowing for the recent growing pains suffered by the Chinese economy. When you compare basic economic fundamentals, most Asian economies fare better than their Western counterparts and they also have healthier banking systems and better demographics too. Vietnam is no exception to that scenario and other positive clues that investors could be rewarded include the fact that nearly half of its 94 million population is aged under 30, and its market capitalization rate to GDP ratio is a modest 30%, which is currently the lowest in Asia. Another point that is beginning to attract some investors attention is the fact that Vietnam has a competitive wage structure which is less than half of the average wage in China. This is helping it to attract some fairly significant inflows of foreign capital. It is an educated workforce too, and this has been pivotal to recent economic success, with a healthy 93% of the population deemed to be literate. Vietnam actually ranks close to Germany for mathematics, reading and scientific grades and even outperforms the United States and the majority of Western Europe on that score too. All of these positive clues would suggest that Vietnam should be performing stoutly and outstripping other Asian markets, but this has not been the case for the last five years. It seems that Vietnam was not immune to experiencing the rather familiar issue of unsustainable growth and this is illustrated by the fact that the country’s ratio of credit to GDP rose from 35% in 2000 to an alarming 125% in 2010. This had the effect of inflation reaching a tipping point of 20% or higher in the last ten years. In a scene played out in other economies, this forced the central bank to intervene and hike interest rates in an effort to restore macroeconomic stability to the country. The rather inevitable consequence of these actions was a collapse in property values and a huge spike in the number of non-performing loans. These growing pains are certainly a justification for some investors viewing Vietnam as a risky proposition but is that recency bias justified? Economic stability has now returned to Vietnam and the rampant inflation that stood at 19% at the end of 2011 is now well and truly tamed, standing at below 1% currently. The country can also boast of having a current account surplus for the first time in twenty five years and interest rates have fallen sharply, which has breathed life into the property sector and allowed it to recover. Another positive point is that Vietnam’s banking sector has largely been restructured, which is more than can be said for Europe on that score. There are several noticeable growth drivers that are thrusting Vietnam in a positive direction. Domestic demand as the population becomes more urbanized is a significant factor, as are exports and foreign direct investment. The Vietnamese government is certainly playing its part by investing heavily in improving infrastructure in order to accommodate the flow of foreign investment. Vietnam is a major exporter of rice and coffee and also has a prominent role in the export of telephones, electronics, textiles , footwear, oil, seafood and wood. All of this data paints a positive picture of Vietnam but its stock market has basically flat-lined since it experienced its credit boom and bust back in 2006 & 2007. The government has been successful in returning growth and stability, but their efforts have simply not been recognized or reflected in the stock market valuations. To be a successful value investor you should always be looking for the double-whammy scenario when looking at a company, of sound fundamentals and shares that look cheap. Vietnam has plenty of listed stocks which manage to tick both of those important boxes according to some analysts and in fact, over half of Vietnamese listed stocks trade on a p/e of less than ten times. One of the reasons why these stocks may not have been noticed by value-seekers is the observation that only an estimated 15% of the 670 stocks listed, receive any broker coverage or commentary. Vietnam is still classified as a frontier market by index constructors such as MSCI and there is a huge difference in investors perceptions when viewing how a market is classified. The level of institutional money invested in so-called frontier markets is miniscule in comparison with emerging markets. An emerging market sounds like an exciting proposition and suggests a growing economy, whereas a frontier market seems to scream risky to investors. If this is your mindset, you should be reassured to learn that Vietnam is widely expected to be promoted from frontier to emerging market status at some point in the very near future. This upgrade could and should open the investment floodgates and therefore you might consider there are opportunities for those investors who anticipate this move and gain some exposure to what appears to be a currently undervalued stock market. If you are interested in gaining some exposure to Vietnam, your choices are still fairly limited in comparison to other stock markets, although this is expected to change. If you are looking at investing via an ETF, there is seemingly only one ETF, the Market Vectors Vietnam Exchange Traded Fund (VNM), which solely invests in companies just based in Vietnam itself. This fund has net assets approaching $380 million and an average P/E of 15, with a yield of 3.9%. There are a number of funds which offer exposure to Vietnam through a more general Asian fund. The Pacific Horizon Trust managed by Baillie Gifford for example, only has a 1.1% exposure to Vietnam through its shares in the Dragon Capital Investment Trust, but there are plans to expand their exposure. The Templeton Emerging Markets Fund holds about 8.5% of its assets in Vietnam and if you are looking at direct investment, foreign investors can take part through individual company shares or mutual funds. Vietnam is a communist regime but if you are willing to go through an application and approval process, you can set up an account with a local brokerage, so that you can get a securities trading code to be able to trade stocks in your own name. Financial markets have been demonstrating an ability to shock and surprise investors in recent times and basing your decisions on what has happened in the past in similar circumstances, has not always been the right move. 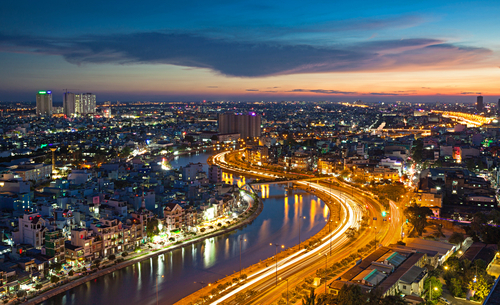 Looking to the future and not relying on events in the past is in some ways the key to deciding if you want to invest in Vietnam. It has had to endure a long recovery from civil strife and war back in the late 20th century, but this has helped to lay the foundation stones for the rapid economic growth that we are now witnessing. Despite the fact that the country is still under communist rule it has been open-minded about the importance of outside investment, so there definitely seems to be an argument for paying to find out if Vietnam can deliver the sort of returns that other more developed economies are struggling to achieve. Investing in collectable cars isn’t only profitable, but fulfilling for many car aficionados out there. Some classic cars can be picked up for relatively affordable costs and have the potential for tremendous gains. If you have the knowledge or resources to restore a classic to its former prestige then that will come in handy in adding value to a classic. It is important to research the market and any car chosen to get all the facts. There are resources out there that track what you’ll be looking for. Not every single classic car out there is going to rise in value. Auction sales point towards what the general market sentiment is and the rising price of many of these vehicles. Auctions will help an investor gauge current trends. An area of particular interest is the American Muscle Car. The value of muscle cars between 1969 and 1971 has been going through the roof the past few years. Cars as an alternative investment can offer tremendous profits and are one of the best alternative investments out there. For the most part a lot of the money to be made with classic cars was Ferraris, Porches, and Mercedes. All of these brands have been hitting new highs and booming in the collectible market. For most of the time American muscle was lagging behind the competition. Currently, muscle is back on the rise and doesn’t look to be going anywhere soon. Smart investors know to check different classic car indexes before parting with their money and purchasing a classic. One of the best places to see this is through Hagerty’s market trend index, a group of indexes that follow valuations and market trends for different groups of classic cars. Muscle Cars’ index has long been surpassed from the likes of Ferrari, German cars, and general classic car markets. That is no longer the case as according to Hagerty’s market index, muscle cars have increased 8% over two subsequent periods. Taking into account the last year, the muscle car market is also the strongest out of any other areas of the classic car sector. A few select cars have been fueling this growth as they have been recording large amounts of high sales in many auctions. Dave Magers, CEO of Mecum Auctions, a company that specializes in holding car auctions has announced what some of these cars were and the prices they fetched. 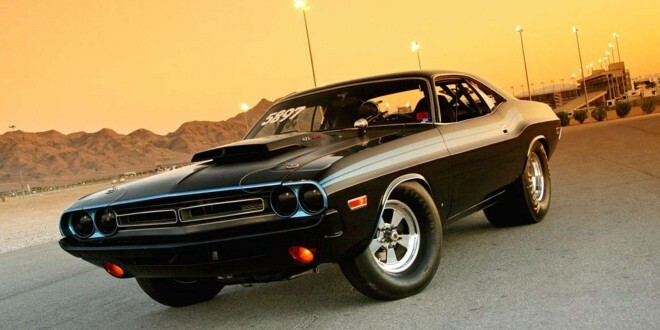 A recent car that was sold was a Plymouth Hemi Barracuda, also known as the (Hemi Cuda), it was sold for $3.5 million and an additional Cuda was sold for $2.5 million in a West Coast auction. On the lower end of the spectrum are some cars like the Chevrolet Chevelle Yenko 427, 1969 that could go from $250,00 to $350,00 in an upcoming auction. Another addition in this year range is American racecars. The 1969 Chevrolet Corvette L88 Race Car Convertible is likely to fetch anywhere from $1 million to $1.5 million. In Scottsdale, Arizona the large Barret-Jackson car auctions are held that hope to sell rare finds and a variety of classics. There is an estimated $285 million worth of cars being sold at the auction. One classic that is going to be sold off there is a 1970 Corvette LT1 coupe. This American muscle car has its original Marlboro maroon paint and only 19,900 miles on it. The car also comes with original paperwork and the flow of purchases in its history since 1970. This is essential for any would-be buyers out in the market. Figures like these show that the market is not going down anytime soon and is only going to keep raising as more classics gain prestigious status and their prices keep increasing. 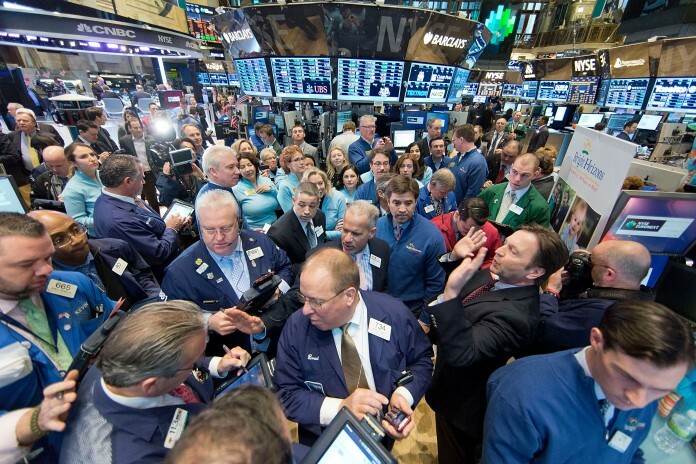 The market remains strong and is not showing any signs of slowing down. The past four years have been promising. This isn’t currently a bubble either because that is partly due to a lot of leverage. That has yet to be seen in the market. Muscle cars are joining the ranks of pre World War II cars and are getting high valuations. The most expensive sales still come from mainly vintage European models. Muscle cars are selling from anywhere from the half a million dollars or as mentioned earlier up to a couple million. There is also a new trend out there on catching somewhat modern cars before they become classics. A whole new generation of collectors and investors is entering this market and driving the demand up. There has been an increased interest from international investors. Foreign investors who usually did not see anything in this market have been grabbing up whatever they can, sometimes not even seeing the car in person. Just as an investment tool they view these markets as highly profitable. The overall classic car market can be broken down into a few categories based on what type of vehicle the car is and price range. Usually the two go hand in hand aside from a few special cases. $50,000 to $500,00 is on the lower end of the spectrum and there is a possibility for it to go even lower for some rare finds that require a good amount of work. A Dodge Charger or Chevelle can be in this range while something like a Mercedes Cabriolet would range from $250,00 to $400,00. Half a million to $3 million is the price range cars before World War I and II are usually sold for. Classics like these include limited production models. Usually this price would include older cars like Lamborghini, Ferrari, and Maserati. The big money comes at $3 million plus and can range all the way into the multi millions. An example would be Ferrari Spiders that can go all the way up to $50 million. In order to reach types of price ranges that go up this much, there are many factors that go into the price. The first thing any investor or collector looks out for is fraud. They’ve got to make sure that the car is no misrepresented and is actually what it says it is. Figuring out a car’s integrity can be done through inspections of the physical vehicle and solid documentation. If there is a long history of a car winning competitions or ownership documents it will help the valuation process. Even though it is a collectable it’s good to keep in mind insurance coverage. Having the appropriate insurance is essential in owning one of these cars and should be factored into the investment strategy. Taking these factors into account will then lead into the overall valuation of the car compared to similar ones on the market. There are a few different routes to take in regards to owing a classic as well. A good way to look at it is the perspective between restoration versus preservation. There are a lot of old beat up cars out there that have the potential to be classics. The cars may have been sitting in garages for years and be seriously deteriorated and possibly unable to even run. The type of work involved with restoration is going to include working on the overall physical look of the car as well as working on the internals. Parts will be replaced or added onto the car without ruining the integrity of a classic. Preservation is on the other end of the spectrum and involves housing the car in a safe place away from the elements and keeping up the appearance and internals of the car. Think of it almost like a museum piece. Both of these avenues is going to require maintenance as well. Depending on what needs to be done maintenance can either big a large cost or a small one. All of these concerns need to be factored into the investment, as it will not only cost time, but money. Owning a classic is a rewarding experience and as the American muscle car gains more traction it will also be a solid alternative investment. For well over a decade, China has been an engine of global economic growth. Yet that growth is slowing down. While the Chinese economy once regularly saw growth above 10%, it is now officially stuck at around 6%. Some believe that the real number is even lower—George Soros thinks its 3.5%. Because of China’s importance to the world economy, fears of a mere slowdown—let alone a hard landing—have spooked the markets. Over the past two years, the once tightly controlled Renminbi (RMB) has weakened around 10% against the Dollar—and many think a further devaluation is inevitable. The free market RMB rate in Hong Kong is weaker than the Mainland fixed rate, suggesting the market thinks the Yuan will continue to slide. The Shanghai Composite Index is currently down around 18% from its 2015 closing price. Last year was also a difficult time for markets in China, and the government was forced to step into the market to prop up prices. Many believe these actions are only postponing future setbacks in the Chinese market. Despite these headwinds, China is officially still growing at over 6%, a rate that is the envy of the developed world. If this rate turns negative, expect big problems. Given the still weak global recovery from the Financial Crisis, a full-blown Chinese recession would be even worse—probably dragging down the entire world with it. Let’s look at the best ways to protect yourself, and profit, should a slowdown occur. In most crises, shorting stocks is one of the best ways to profit off a decline in the markets. 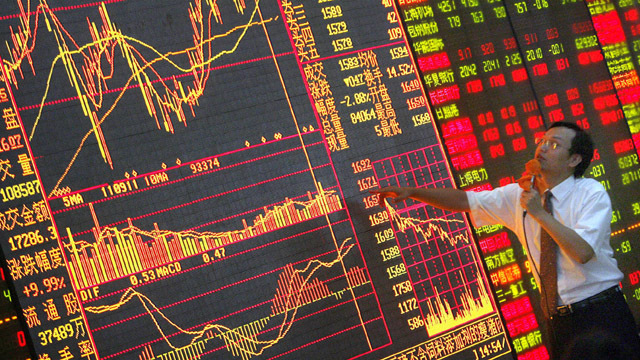 However, due to restrictive regulations, it is difficult for foreigners to short Chinese stocks. Yet there are a few ways around this issue. One of the best is to invest in short Exchange Traded Funds (ETFs). These ETFs grow in value if Chinese stocks decline. Some of them are levered, meaning that any moves—either positive or negative—are doubled or tripled. The Direxion Daily CSI 300 China A Share Bear 1X Shares (CHAD) stands out as a good option. Regulatory limits mean there are very few ways for average foreign investors to short Chinese A shares. Thus, CHAD is one of the only simple ways to short Chinese A shares listed in the Mainland. Alternatively, the ProShares Short FTSE China 50 (YXI) allows you to short Chinese stocks listed in Hong Kong. Some believe that shorting Chinese stocks in Hong Kong is slightly less effective than directly shorting stocks in the mainland, as the Hong Kong stocks are often somewhat more international and may offer a less pure exposure to the Mainland economy. Still, YXI is a good choice. Those investors who want to make a big bet on a decline in China should look to the Direxion Daily FTSE China Bear 3x (YANG). YANG is a triple-levered way to bet on the decline of the FTSE China 50 Index. Investors should be cognizant of the risks involved, however. The triple leverage offered by this fund means that for every swing in value in the FTSE China 50 Index is tripled. This is a great way to multiply profits, but is dangerous if things don’t go your way. For example the CSI 300 recently rose 2% in one day—during the midst of a general market decline. While U.S. treasuries currently yield between a mere .17% and 2.83%, this is far in excess of the negative yields found in Germany or Denmark. While some are worried about runaway inflation, a Chinese recession is more likely to contribute to deflationary pressure. Moreover, this is a highly liquid market which allows you near instant access to your cash. Thus, it offers a high degree of protection and a small but safe profit. A true Chinese recession, or even a slowdown, will have wide ranging consequences. Oil could fall further, leading to problems in oil-rich countries like Russia, Venezuela, Saudi Arabia, and other oil exporting countries. While the exact effects of a slowdown cannot be predicted, it is likely that countries like Australia that export raw materials to China will be hit hard. We can also expect a variety of Western companies to be affected. Brands like LVMH and Apple have seen much of their growth come from China, as have big U.S., European, and Japanese automakers. This means selectively shorting or avoiding Western stocks with exposure to China, or the currencies of commodity driven export economies, is necessary both for protection and profit. With great uncertainty in global markets, many believe putting a large portion of your wealth in safe haven assets is prudent in the short term. Assets like Gold, U.S. Treasuries, Swiss Francs, Japanese Yen, and even Bitcoin can help protect you when markets are in turmoil. Investors in small, trade-dependent economies may even want to convert some of their savings to U.S. Dollars, while those in Europe who are uncertain about the Euro’s future may consider doing the same. American politician Rahm Emmanuel famously said, “Never waste a good crisis.” Investors should think the same way when considering how to trade in volatile times. Keeping a portion of assets in liquid assets like cash, buys the option to scoop up great deals in the future. Given today’s low inflation, this is a cheap way of keeping your options open. It is impossible to predict exactly what the markets will do—but preparing yourself for a slowdown in China is a prudent way to protect your portfolio for these coming years. The right investments may even earn quite a nice profit—even if markets fall. Take the right precautions now to make sure you’re prepared. One of the freshest faces on the alternative investment scene is TrialFunder, Inc. The company, and a few others like it, offers investors a chance to buy a stake in pending lawsuits. The new crowd-funding idea came about when TrialFunder’s founding members were looking for a method to assist plaintiffs who needed funds to pay legal fees. The way it works: TrialFunder (TF) accepts a client for a funding campaign. They place all the data about the case on their website. 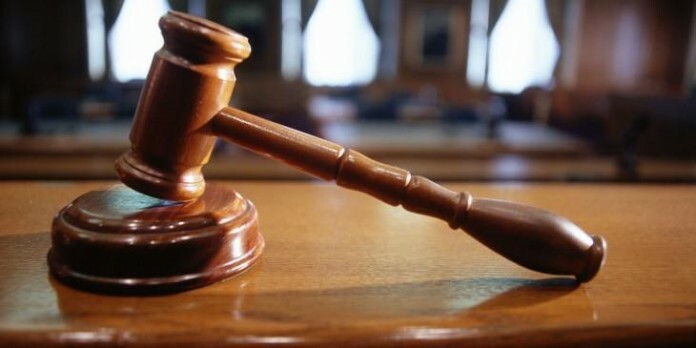 This includes all court documentation, police reports, any pre-trial testimony that has been entered into the record, and other important information that might have an impact on the outcome of the eventual trial or the pre-trial settlement. Right now, TF invites “accredited investors” to take part in the funding of particular cases. Pending legislation would change that restriction and average investors would be able to put their cash on the line and get a piece of the settlement action. A visit to TrialFunder’s website is instructive. Investors can review all the cases that are open for investing. The company plainly states that there are inherent risks involved. Any case may end up settling for a miniscule amount of money or for nothing at all. Others might settle for many millions of dollars. TrialFunder claims that the average return on one of its cases is quite high. This is apparently due to the fact that the company meticulously examines each potential lawsuit before accepting it as a potential investment vehicle. Indeed, many cases settle out of court when defendants realize that a company like TrialFunder has listed it for financial backing. This tactic typically scares defendants into settling because, the reasoning goes, they are reluctant to go to court against a plaintiff who has firm financial backing. TrialFunder realizes that average investors might not flock to this new method of raising capital for legal plaintiffs, yet. With the success of crowd-funding in general, and the sometimes astonishing financial success of similar business models, TF could soon see a major segment of the public flocking to its website. Many of the company’s current investors are well-heeled folks who want to back a legal claim that has a high probability of winning. Others want to provide financial backing for a cause that they morally believe in. Either way, TF claims to be enjoying early success; and the company’s own press releases note that they choose cases based on high likelihood of victory in court and on quick turnaround. These are not cases that will spend years in the docket, but monetary appeals that are usually settled quickly and for a sizeable amount of money. Indeed, TF avoids the kinds of lawsuits that may end up headed for the state or U.S. Supreme Court. Most of the cases are ordinary injury suits that are simply asking for monetary settlements. A good number of cases like these, even the ones TF does not accept, never see a courtroom; that’s because the defendants want to avoid costly trials and public airing of grievances. Sometimes the issues involved could be a marketing nightmare for the defendants, as is true with many product liability cases in general. Once qualified to invest, it is possible to research the various cases listed at the TF site. At any one time, there might be several cases up for funding. Depending on the particulars of a case, TF rates of return hover in the “over 50 percent” category. Even investors who put funds up for a plaintiff for whom they want to offer “moral support,” will get some or all of their money back if the case settles favorably for them. Right now, there are two high-profile cases listed at the site. One concerns an NFL concussion case and the other one involves alleged police abuse. Anyone who wants to can view news videos about the particular cases, read official documents like statements and court depositions, and do their own research if need be. Crowd-funding in general is one of the fastest growing segments of the alternative investment scene. In 2012, crowd-funding crossed the $6 billion mark but is set to soar to at least $40 billion by the end of this year. Television channels devoted to legal trials have been among the biggest hits in the U.S. and Europe. That might be one of the reasons behind the success of companies like TF. Real-life litigation is an area of massive public interest, and TF is likely to continue to benefit from that trend. Before a case is listed on the TF site, it is personally examined by the company’s CEO, an attorney who once specialized in financial cases. Now that the public has a firm grasp on the concept of crowd-funding, TF need not worry about reluctance from investors who don’t understand their business model. All sorts of companies raise funds through online efforts, so TF is not really doing anything new in that respect. However, using a crowd-fund model to bring financial backing to legal plaintiffs is a new concept, and many investors will be eager to try it out. Look for numerous competitors in the near future as the TF model for litigation investment becomes more commonplace and investors get used to the idea of buying a piece of a potential courtroom settlement. SEC regulations that are still in the works could have a profound effect on companies like TF. As the world of litigation investment goes mainstream, companies like TF might be the next big thing in the alternative investment sector. The vast majority of workers are told to contribute to their 401K and IRA for 40 years. Then you will be able to retire. The people that teach (and sell) this method usually rely on some outdated and very flawed data to present this case. Working for 40 years and then having to pinch pennies is not appealing to me at all. How about we come up with a plan to retire in 3 years instead of 40? Along with working for 40 years and investing in stocks and bonds, most retirement planners also teach paying-off debt. This plan is going to be entirely different than any other plan on you’ve read about. I ask that you have an open-mind. Who knows you may end up retiring early because of it. The focus of this plan is obviously increasing your cash-flow to a point where you can quit your job in 3 years. Obviously, every case is going to be different but for the purposes of this article let’s assume you have a salary of $60,000. If you make more than that, then just multiply all of my use-cases below by that factor. For example, if you make $90,000 instead of $60,000, multiply everything below by 1.5 and that will get you to where you need to be. Essentially, you can follow the same investments, you just need to make larger investments. If you make less than $60,000, such as $50,000 then multiply everything by 0.833 ($50K/$60K) and that will get you where you need to be. Hopefully, you have been able to save meaningful amount in your retirement accounts. This will obviously depend on your age. The first thing you want to do is immediately start getting cash-flow with the lowest amount of investment as possible. 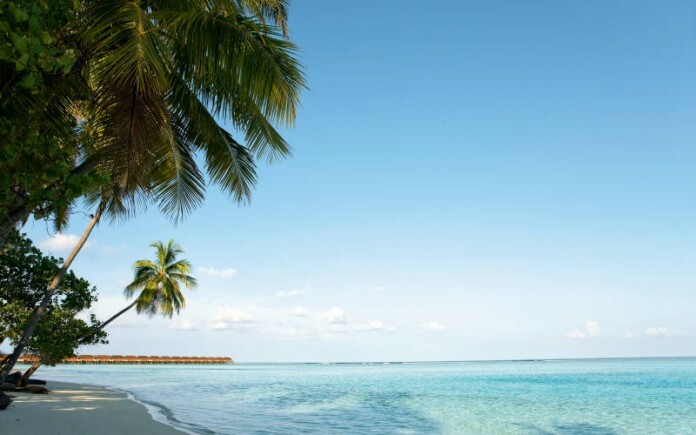 This year we are going to focus on short-term vacation rentals. The best part about this strategy is that initially it’s not going to require any investment. You are simply going to rent out a room in your house. You also can rent out your entire house for extra money. The first question I always get, when I tell people I rent out my entire house is: Where do you go? I will tell you the same answer I tell my friends and family: on vacation! Your rental rate will vary, but let’s assume you can rent out an extra room for just 10 days a month at $120 a night. Let’s also assume that 3 weeks out of the year you rent out your entire house for $450 a night. Making these assumptions you are going to gross $14,400 for your room rate and $8,100 for your entire house rate for a grand total of $22,500. Now, that you are comfortable on Airbnb you need to rent a place for the sole purpose of renting it out on Airbnb. That’s right, you don’t even need to buy the place, you simply need to find high demand areas and then find an apartment to rent with a lower associated rent. Obviously, you want to make sure this is ok with your apartment owners and make sure it’s legal. You also need to buy a house for long-term wealth and rent it out using Airbnb. This part is hard but critical. You want to buy a place that again is a tourist destination but you can buy the house at a very low-rate. My same friends that rented above bought a place in Las Vegas for $40,000. They then spent another $10,000 getting it ready to rent on Airbnb. The $10,000 include cost like a television, bedding, furniture, kitchenware, etc. Their first year they made an annual profit of $13,608. If you think this strategy is far-fetched I can assure you it is not because I’ve done it and I’ve seen people do this. Sure, its hard work, but you didn’t expect this to be easy did you? Year 2 is going to require you to buy a quadplex at a minimum. I have owned a lot of different types of rental property. You will have a little harder work getting these units rented. However, that is why you need to buy in a very high demand area where gentrification is taking place. In my town, you can buy a quadplex in an up can coming area for around $300,000. If you put 20% down and get a $240,000 loan at 4% with a 20-year amortization the payment will be $1,454. Let’s budget an additional $500 a month for taxes, insurance and maintenance for a total monthly cost of $1,954. Where I live you can easily rent a 2-bedroom unit as part of a quadplex for $1,100 a month. Therefore, your total gross income for the month is $4,400. However, let’s discount this by 10% to take into account turnover and vacancy. Therefore, your effective net rent is $4,000 a month or $48,000 for the year. Your total debt and maintenance cost was $23,448 therefore your cash-flow profit for the year is $24,552. Congratulations! You have already hit your income goal. However, I’m sure you are a little pessimistic at this point so let me share with you one other strategy you can highly increase your passive income goal. This strategy works the best when you have a fair-amount of money to invest and you want solid income that is secured by commercial real estate. The strategy I’m talking about is triple net lease properties. With triple net lease properties all taxes, insurance and even maintenance costs are passed on to the tenant. Now don’t get too excited, if you go buy a McDonald’s in New York City you are going to get a cap-rate of around 3%. This is why you need to modify the strategy for your own personal cash-flow. I want you to focus on middle-grade tenants, or B tenants. McDonalds for example would be an A tenant. K-Mart would be a C tenant. I want you to focus on B tenants such as Dollar General or maybe a local company that is doing well, but their debt isn’t rated by a major rating agency. For B tenants you can expect cap-rates of 8-10%. To maximize your cash-flow, you will want to utilize debt. The best part with this strategy is that the bank won’t be analyzing your cash-flow they will be analyzing the lease and the tenants cash-flow. This isn’t standard in banking but at this point let’s assume one of your properties is paid-off or has a significant amount of equity. Instead of putting down 20% to buy the $2,000,000 in commercial real estate, all you are going to do is pledge that property. The properties will now be cross-collateralized for the bank. Therefore, the bank is going to give you a $2,000,000 loan on a 20-year amortization priced at 4% for a payment of $12,119.61. The annual debt service will be $145,435.30. Finally, your cash-flow profit from this single transaction is $29,564.68. I know this strategy requires a lot of work and a fair amount of debt. But did you really think it was going to be easy retiring in 3 years? I can’t emphasize enough that I know people who have used this strategy and retired early in life. The upcoming U.S. presidential elections will almost certainly have an impact on the various categories of alternative investments, real estate particularly. But what will be the effect on precious metals, collectable coins, artworks, and others? Assuming that one of two current front-runners in each major party ends up in the White House, what might the prospects be for those who have a high stake in the non-traditional financial sector? Most U.S. real estate analysts think the sector is already in a mild recovery. A Democrat win, with either Hillary Clinton or Rep. Bernie Sanders as the eventual victor on Election Day, might be seen as a continuation of current policies: both have been vocal about their agreement with President Obama’s treatment of real estate taxation. A win by either top Republican contender, Sen. Ted Cruz or Donald Trump, would likely see real estate markets enter a faster growth period, as both have expressed their wish to “unleash” markets in general, with lower investment taxes for consumers. Trump in particular has a long history as a real estate entrepreneur and understands the burden that investors often feel from the restrictive rules and regulations in that segment. The metals markets are always tough to call, especially in turbulent times. But, all other things being equal, a win by Republicans would more than likely be a boom to the traditional stock market and thus be a damper on metals. Trump and Cruz both favor low capital gains tax rates, which are usually a precursor to traditional market growth. The result is a movement away from so-called “safe haven” investments like gold, silver and other precious metals. A Democrat win in 2016’s election might mean good things for the metals markets and not-so-good things for traditional investors in stocks and bonds. Hillary Clinton has a long history of working to increase taxes on securities transactions, which might cause a flight away from those sectors and into precious metals. Look for all the major metals to rise after a Democrat win and fall after a Republican victory. Specialty, so-called collectable alternative investments are a unique case. Their percentage of overall market share is so small as to be almost insulated from general political and economic trends. However, each of the three reacts to major elections much the same way precious metals do. Everyday investors tend to sniff out things like gold, investment-grade wines, auction-house artworks, and classic cars when other, more mainstream investments begin to deteriorate. For that reason alone, one can expect a flight toward the boutique portfolios when a liberal Democrat wins and a flight away from such investments if a conservative Republican wins. It is worth noting that Hillary Clinton, for the purposes of this analysis, might be considered a moderate Democrat, while her primary opponent, Rep. Bernie Sanders, can be considered a very liberal Democrat. A self-avowed Socialist, Sanders is a pretty sure bet to seek tax increases for traditional market investments; and thus could be seen as quite a boon for the entire spectrum of alternative investments. An even more specialized segment of the alternative investment sector is so tiny as to be considered virtually immune from any “election effect.” This segment features things like specialized coin investing, premium stamps, high-end antiques and other, almost unique areas where some people park large amounts of money. Collectable coins and stamps vary in price based upon trends within their own insulated world. In much the same way as a pebble on the bottom of the ocean is not tossed or upended by a storm on the surface of the water, these tiny corners of the economy are typically untouched by large events and general financial trends. Private equity companies in the U.S. are heavily regulated by the federal government. As a rule, Democrats tend to favor more regulation of these entities while Republicans consistently favor less regulation. A Trump or Cruz in the White House would no doubt be a boon to the private equity investment sector, while a Clinton or (especially) a Sanders win would not bode well for private equity enthusiasts. The same can be said for so-called “direct investment” in private companies. Democrats in both houses of the U.S. Congress have long sought to rein in this type of freewheeling economic activity. At the same time, a Republican win might be a shot in the arm to this burgeoning segment of the alternative investment scene. Even though many prominent Democrats are employed by hedge funds, notably Hillary Clinton’s daughter Chelsea, the party of Clinton and Sanders will likely use a November victory to push for more legal oversight of both these industries. Trump and Cruz, for the most part, are considered hedge-fund-friendly and would almost certainly attempt to remove some of the current limits on these areas of the marketplace. 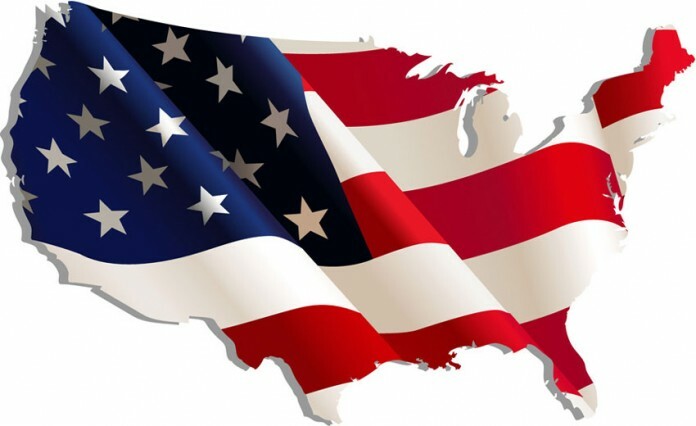 One thing that investors should keep in mind when examining the possible U.S. presidential election outcome is that there are also a number of Senate and House seats up for grabs, and the U.S. Senate in particular could have a deep and powerful effect on the alternative investment markets. If a Republican were to win the White House, with the same party retaining the House and Senate, perhaps even adding seats to their current majorities, the so-called “Republican effect” would be magnified. If the Democrats win the White House but fail to convert the House and Senate to Democrat control, then the effect of the election would be minimized and investors might witness protracted battles between a Democrat president and a Republican-controlled House and Senate. Bottom line: If Hillary Clinton or Bernie Sanders wins, alternative investment markets might not react very much, as long as the Senate and House both stay in the Republican camp. But if either Trump or Cruz were to win the White House, and the Republicans retain both houses of Congress, investments like hedge funds, real estate, private equity and venture capital could enter a major growth phase. At the same time, boutique, super-boutique, and precious metals markets might witness a slump. Growing up there was a friend of the family that we called Uncle Al that was always out hunting and fishing. This guy never had a job. He went to school to get a Ph.D. just for fun. This guy was a total enigma to me since my parents worked very long hours and I had to work hard growing-up as well. A couple of times a year I would go hunting on Uncle Al’s property. His property was filled with great timber land that he never harvested, because that would hurt all the hunting he did on the property. However, his property was very unique and different than the other areas where I hunted. This property had oil rigs on it. I later found out that when oil spiked in the 1970s a lot of people and companies bought land with oil reserves and were highly leveraged. When the oil prices came down these highly leveraged individuals and companies all went bankrupt. Apparently, Uncle Al’s family bought the land he currently owns from a bank that took the property over after foreclosure. If you haven’t seen oil prices decline in the news you have definitely seen the gas prices at the pump decline dramatically. For the highly leveraged people and companies that are reliant on income from oil this has been catastrophic at a level that we have not seen since the last major oil downturn in the early 1980s. This decline has presented a major opportunity to alternative income investors that are focused on generating income and generational wealth and can look past near-term volatility in oil prices. Below are three strategies you can use to generate income and generational wealth for the long-term. This was my Uncle Al’s family strategy and my favorite personal strategy. In-fact I am actively pursuing this strategy currently. Land might me expensive where you live and you might not think this is feasible. However, you want to be focused on buying land in oil-rich areas. Additionally, skip the MLS and properties that are being marketed by brokers and contact the local community banks in this area. They might have some properties they have on their books you can buy. However, the real value they can provide is to give you an idea of the valuation of land in the area. They can also give you some good quality referrals to people who might be interested in selling. All of this will cost you nothing but time initially. One of the best parts of this strategy is you still have the land for whatever you choose. You can choose to simply enjoy the land for recreational use like my Uncle Al or you could farm it for another income source. You could also lease out the land to farmers and/or hunters if you don’t live near the property and don’t think you will enjoy either of those activities. Finally, by owning the land you will enjoy any appreciation that has happens to land prices in the area. This strategy requires very little capital to get started. There are several royalty brokers that will broker the rights to land where they have gotten the resource royalty rights. I would highly suggest going through a broker for your first time implementing this strategy, because this industry has some very complex legal requirements and language you will want to get comfortable with before you try and start buying royalty rights without a broker. Additionally, these brokers will save you a tremendous amount of time asking land owners for resource rights. I personally like to evaluate royalty rights for land that has already been drilled-on and producing cash-flow. This way you know how much cash-flow is produced given a certain level of oil prices. One of the biggest factor in this strategy is knowing the age of the oil fields and having a qualified opinion on how much depletion has already taken place. 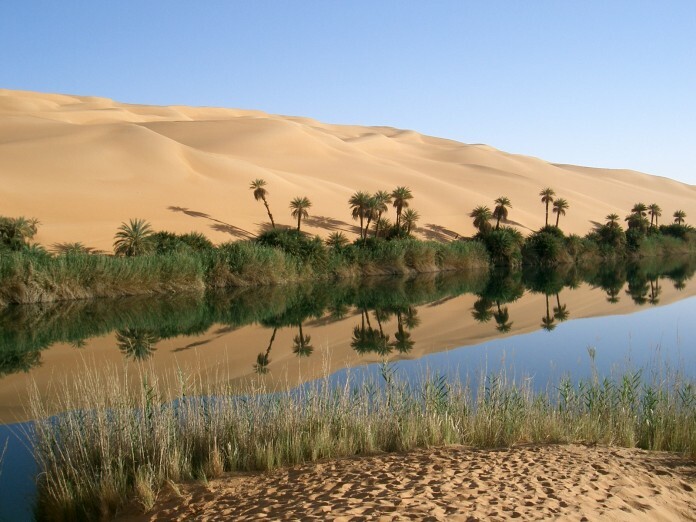 Oil fields can be pumped on for hundreds of years but can also run dry after only a couple of decades of drilling. I have several friends that have bought gas stations at 3 times cash-flow. In my opinion, this is incredibly cheap to buy a business. They operated the gas stations for three years and paid-off the majority of the debt they used to purchase the gas stations. They then sold the gas station operations but kept the real estate and made the new owners of the gas station obviously lease the real estate. All of my friends that used this strategy made at least a 50% return and this isn’t taking into account the debt they used to buy the gas stations. However, in-case you have no interest in buying and operating a gas station I have an alternative strategy. You can buy the gas operations of a convenience store. I know a guy who builds gas stations and sells them to families who run gas stations for a living. However, he keeps the gas operations part of the business and simply monitors sales and inventory through monthly reports. By implementing this strategy he controls millions of dollars’ worth of gasoline every month with no debt. Sure, the profit margin on gasoline is small, but it’s still a positive profit margin. Additionally, this strategy takes very little time to implement. According to the National Association for Convenience and Fuel Retailing, gross margin on gasoline sales average 18.5 cents per gallon. However, after operating costs, credit card fee’s, depreciation and taxes the net profit margin average is 4 cents per gallon. 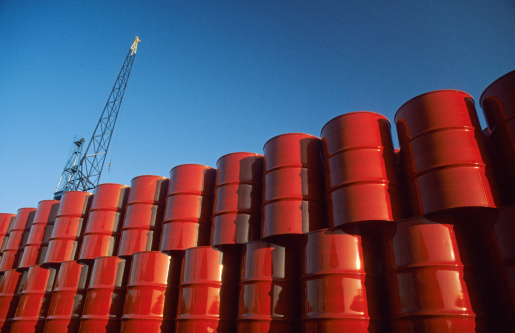 This article focused on oil and how to profit on the current decline in crude oil prices. However, you can basically implement all of the strategies above using natural gas as well. I am simply not as educated and familiar with natural gas as I am the oil industry. 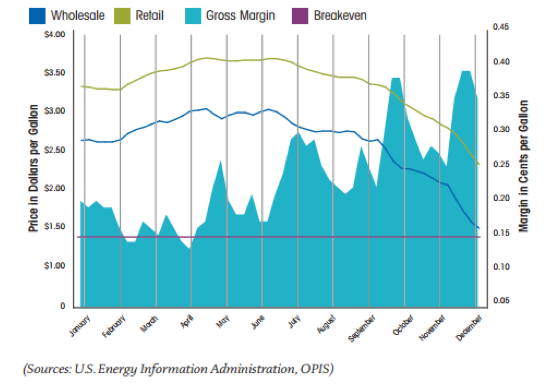 Don’t let the current decline in oil prices deter you from investing in the energy business. The current decline should make you energized to invest in the industry. The majority of wealthy investors have made a significant amount of their wealth investing when prices were temporarily depressed. It’s common knowledge to a lot of investors that gold and silver are an essential part of developing a precious metal portfolio. People invest in gold because it holds its value over the long term compared to fiat currency. Gold will never lose all of its value. The same thing cannot be said about some stocks. 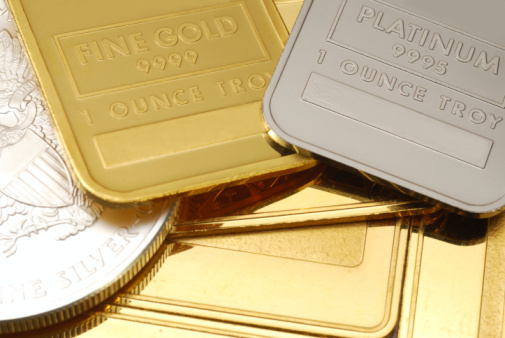 Gold and silver can act as a hedge when the market is in a high flux of volatility. Although most of the spotlight is on gold and silver, there are other options and groups of metal that can be added to a precious metal portfolio. This includes lesser-known metals like platinum and palladium. All of these metals behave differently, although gold and silver are used interchangeably they differ in price fluctuations and uses for each respective metal. Gold is usually used in jewelry and silver is a staple metal used in industrial production. Platinum is a more diverse metal as it can be used in jewelry and other high-tech components and machines. Before starting a metal portfolio it’s best to lay the foundation in gold and silver. These markets are larger and more established. Platinum and palladium are not for the faint of heart. The markets are smaller and more volatile. These two rare metals have been soaring in value the past couple years. They first began being refined in the 1800s. Metals should be held for at least a minimum of three years. Platinum and palladium should be half the amount of a gold and silver stake for stability’s sake. During times of political stability and regular periods of the market, platinum is at a higher price than gold. Platinum is 10 times as rare as gold. In March of 2008 platinum was trending at over $2,200 per ounce. In 2015 platinum has been trading at around $830 an ounce. Platinum is an industrial metal and the largest demand for it comes from automobile catalysts. The demand for platinum is followed by the computing industry. Most of platinum is mined in Russia and South Africa. This could be a cause for higher prices. These are all factors to take into account when adding platinum into a portfolio. Palladium is a more uncertain metal. It’s growing in popularity and is driven by industrial demand as well. Palladium is essential for building catalytic converters in cars. In December of 2000 palladium was trending at $1000 an ounce, currently its at around high $400’s and low $500s. The prices listed above are indicative of the possibilities for profiting on an intelligent precious metal portfolio. Market swings should not be the main driving force behind a precious metal investing strategy. It’s all about setting a target price that an investor feels comfortable with before selling. There are a few different ways to buy precious metals and they both have their own pros and cons. Owning the actual physical metal used to be one of the only options for anyone who wanted to own precious metals. This can be costly due to expenses associated with transportation and storage. Also the markup for dealers could cut into profits as well. Actually having the commodity in a physical form adds up additional costs and other risks that come with having something in possession. One of the other options for owning precious metals is through commodity ETFs. By purchasing an exchange-traded fund, investors have a convenient way to both purchase and sell precious metals. Trading ETFs is a passive way of holding these assets allowing investors to follow the pricing in the market without needing the actual asset in their possession. SPDR Gold Shares (GLD) is an ETF that is an option for investors looking to invest in precious metals. 2016 is looking like a promising year for Gold. If this ETF can push forward past its $100 range then it will be a good investment option for anyone wanting to invest in Gold. iShares Silver Trust (SLV) is one of the leading ETFs for investing in silver. Silver’s demand hinges partly on China’s demand. SLV is trending in the mid teens at around $13 – 15. This ETF is one of the most relevant and sturdy ventures for investing in Silver. As gold and silver are tied closer with monetary policy, the other two metals, platinum and palladium are closely related to automobile sales. Vehicle sales are predicted to rise in the upcoming months and years. As stated earlier a lot of components in these cars rely on the two precious metals. This very reason is why it is imperative to add other precious metals along with gold and silver. They can outperform gold and silver during different market situations. ETFS Physical Palladium (PALL) is an ETF that focuses primarily on palladium and is an excellent entry point into investing into palladium, which can be an obscure metal to purchase in traditional ways. ETFS Physical Platinum (PPLT) is a unique ETF for platinum as it is the only fund that holds the actual metal in the form of bullion and ingots. The platinum is stored in London and Zurich based vaults. They are overseen by JPMorgan Chase Bank and have roughly $850 million in assets under their control. Common stocks in mining companies can help track price movements related to the precious metal market. It’s good to look at the intrinsic value behind some of these stocks and their future plans. For example look to what country these companies are based in and the laws affecting them. As well as their expansion plans and management behind them. Investing in the actual companies can be a speculative endeavor because the investor is reliant on how the company is performing as a whole regardless of the underlying commodities market conditions. Historically, coins and bars were primarily for people who could afford to invest large amounts and pay for secure storage. However bullion dealers like BullionVault allow investors to purchase gold, silver and other precious metals online at low prices. Bars can then be stored in professional-market vaults in Zurich, London, New York, Toronto or Singapore. Because of their size (BullionVault manage over $2bn worth of gold for 55,000 clients worldwide), you benefit from low storage costs which always include insurance. We recommend BullionVault because it is the world’s largest online investment gold service that is part-owned by the World Gold Council. If you are specifically interested in coins then you may wish to consider the U.S. Mint or The Royal Mint. Both offer a range of gold, silver and collectable coins that can appreciate in value. The U.S Mint also issues American eagle platinum coins. Overall, there are a few different ways to buy precious metals and begin a portfolio. In this new market it’s a good idea to have gold and silver as a baseline and foundation for a portfolio with the addition of platinum and palladium. In recent years they’ve gained traction on the market and this is shown through the new ETFs being traded to accommodate their growth. Investing in precious metals is a great way to stay safe against inflation and be used as a hedge during unstable market conditions. With a new year and financial instruments jerking like kites in a gust, investors, analysts and advisers alike are scrambling to protect assets against continuing global instability. The Fed may have raised interest rates by its minute quarter of a percent, but stocks are nevertheless flailing, with a nearly 6-percent loss on the S&P 500 so far in 2016 and nearly 7 on the NASDAQ. Many eyes are turning to alternative investments – financial options other than traditional stocks, bonds and cash. While often characterized as risky, alternative investments offer utility whether you’re conservative – looking to simply hedge inflation and preserve value – or you’re daring – parsing out that high-risk once-in-a-lifetime bull’s-eye. Although some avenues favor primarily accredited investors, the alternatives market continues to respond to investor demand, diversifying and hybridizing exponentially. For example, DailyAlts.com lists no fewer than 126 liquid alternative funds that were launched in 2015 alone, 92 of them mutual funds, 33 of them exchange-traded funds (ETFs) and one a closed-end fund (CEF). However, that’s just a glimpse of the choices. The trick is to find the investment that works for you in the new environment. Alternatives span a breadth of real assets – physical, or tangible, possessions – from whole swaths of agricultural land to commodities and precious metals as well as art, jewelry, literature, wine and other libations, comics and a host of other collectables. For individuals who want to invest in real assets without the liquidity issues and expenses inherent in tangibles, mutual funds, ETFs, funds of funds and other commodity and liquid alternative funds are all open to investment and can provide some indicators of both global-based macrotrends and areas of investment to consider. Many of our wealthiest investors, however, are pursuing still other financial venues. According to a recent report on investing released by crowdfunding platform OurCrowd “The most dramatic trend shows the sudden ascendancy and dominance of private investing, with the amount of venture capital more than doubling globally to over $135B in 2015 compared to 2013 . . . While private companies with valuations of more than $1B were once so rare they were called ‘unicorns,’ now there are more than 140 such companies.” The world is changing, and opportunities are global, regardless of the financial vehicle. Real estate investment trusts (REITs) are much like real estate mutual funds with monthly dividends. Funds invest in property ranging from residential rental properties to commercial, healthcare, rental storage or even agricultural interests. Funds based on actual real estate holdings versus the mortgages on real estate holdings are typically considered more stable. An REIT like Realty Income (NYSE O), for example, pays monthly dividends and is open to retail investors. While the dividend yield for 2015 was 4.4 percent, an all-time low since the company’s founding in 1994, the total return figure was 13 percent. To put those figures in perspective, the Dow’s total return was 0.2 percent, S&P was at 1.4, and the NASDAQ composite came in at 5.7. If your investment was just $10,000, with Realty Income, your investment could have become at least $11,300 versus, respectively, $10,200, $10,140 or $10,570. Private equity funds focus on raising resources for companies that are developing or expanding. Options range from venture capital funds to seed-stage investments, buyouts, mezzanine funds to bolster a company’s public offering or even distressed securities funds. Alternative investment data source Preqin lists The Blackstone Group, the Carlyle Group and TPG as the three largest fund managers by total funds raised in the last decade – all well above $50 billion. For estimated dry powder, or uninvested funds, first and second place remain the same, but Apollo Global Management ranks third. The largest fund that closed in 2015’s third quarter was Blackstone Real Estate Partners VIII with nearly $16 billion – the last $1.3 billion raised from retail investors. Areas of focus were buyouts, real estate and venture capital for funds closed and aggregate capital raised, with future investment interests firmly targeted at small- to mid-sized market buyouts. In addition, new regulations will expand private equity retail investment options through crowdfunding companies that register with the SEC. The UK-based Seedrs – formerly open to only accredited investors – is the first to register, and others are sure to follow. With the instability of stocks, hedge funds – known for performing well in bear markets – offer the pooling of funds and more active management to earn returns that are not correlated to traditional stocks or bonds. They may focus on distressed securities – commercial debt – emerging markets, arbitrage, futures or assortments known as funds of funds. Investment research and management firm Morningstar states its database “contains data on 7,000 actively reporting funds from more than 3,700 managers,” with some experts citing thousands more. In an article for Winston & Strawn, Don Steinbrugge of Agecroft Partners forecasts that hedge funds in 2016 will yield high single-digit returns and that industry assets will reach an all-time high, with younger, smaller funds having the greatest room for expansion and possibly returns as well as reduced fees for founding investors. That said, what kind of returns can investors expect in 2016? Barron’s lists Tulip Trend Fund Ltd I Class G CHF in its top spot, the fund earning a 19.5-percent return in November 2015; a 1-year term yielded 23.6 while 3 years yielded 75.7 percent, and 5 years brought the figure to 52 percent. Focus seems to be on niche markets, particularly those involving Asia. Alternatives are often 20 percent of a diversified portfolio, and as the market teeters and stumbles, just toying with the asset allocation tool on Goldman Sachs’ website shows that alternatives may be more influential than ever. Contrasting a traditional portfolio based on 80 percent S&P 500 stocks and 20 percent bonds with one comprising alternatives, the addition of alternatives reduces risk by no less than 100 percent and suggests returns may be higher up to 75 percent of the time. Emerging markets and even areas of instability may be high earners for those possessing the fortitude to withstand the ups and downs and the diligence to research their investment choices thoroughly. After all, in any market, the rule is to buy low and sell high. With a market of lows to choose from, winners will choose wisely.